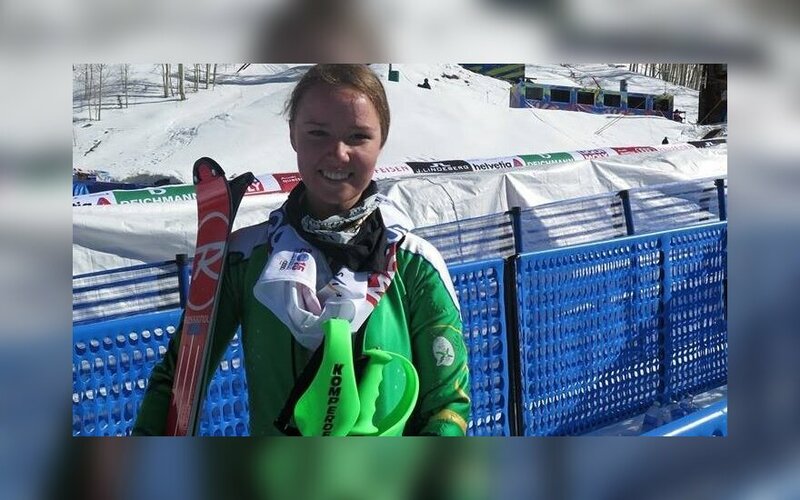 Ieva Januškevičiūtė, 20-year-old Lithuanian alpine skier, made her dream to take part in winter Olympic Games come true. 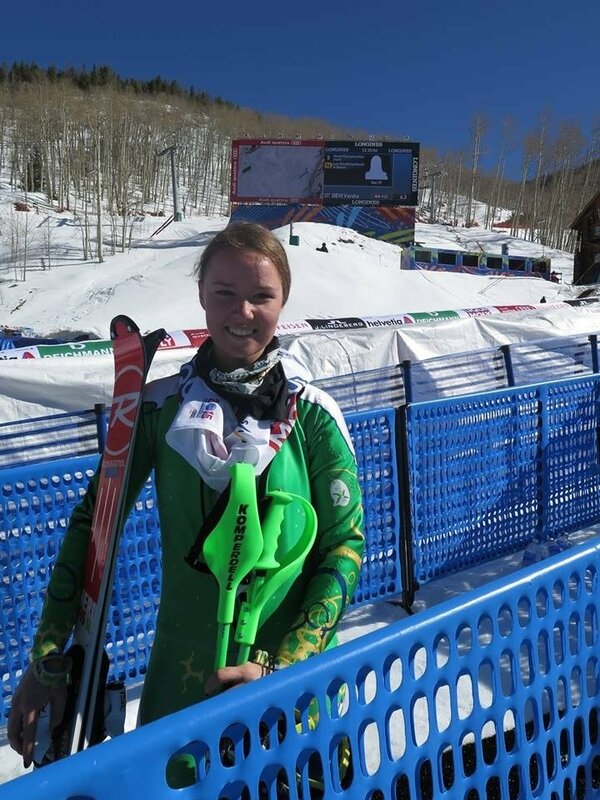 At the age of 18, she broke Lithuanian national record of women's alpine skiing FIS points. In 2013 she finished 81st in the Giant Slalom event in the World championships, and in 2014 she was the first Lithuanian woman to represent the country in alpine skiing in Sochi Olympic Games. Today, one year later, Ieva Januškevičiūtė is speaking exclusively to the Lithuania Tribune about her career and the future. She is ready to get better and to bring honour to Lithuania, while hoping to promote winter sports in a country without mountains. Why alpine skiing? How did you end up in this sport? Sport always was a part of my life. Before I took up skiing, I was swimming, dancing, doing karate, dancing, but I liked alpine skiing more. I started skiing when I was five or six years old and then it was only for fun, but later I joined an alpine skiing club and I liked it. In 2012, when you were 18, you broke the Lithuanian record of women's alpine skiing FIS points. What did it mean for you to be the new holder of this record? Alpine skiing is not so advanced a sport in Lithuania, we don’t have mounts and conditions for true competition here. But for me it feels great and to be the first girl from Lithuania to go to the Olympics and to be one of the first who started this sport in Lithuania. All this feels great. It means a lot to me. 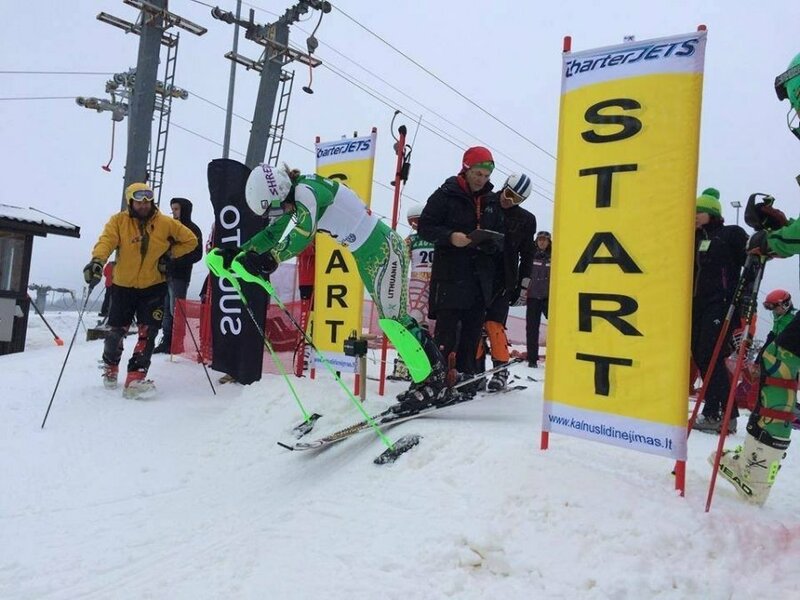 People are trying out this sport now and it is the most important to me, that kids will start to do this sport and we will be able to develop alpine skiing in our country. You were the first Lithuanian woman to compete in alpine skiing in the Olympic Games. Did you feel any pressure and expectations of the Lithuanian people in the Olympics? Well, yes, I did feel some pressure, because you are representing your country and expected to show good results and I was disappointed because I didn’t finish both races, but it is important to clear that in our sport it is common not to finish the race. It's even petty easy not to finish the race. In slalom, for example, at least 30% of the participants don’t finish the race. There were pressure and expectations. You should have some expectations in order to succeed. But it was clear that I was not going to be in the leading places as one of the first who started this sport in Lithuania. Everything takes time. When we spoke before the interview, you told me that you had some stress during the games. Today, one year after the games, can you take me to those days? What happened there? It was my first time in the Olympics and I think that it was very exiting and very hard. There were a lot of people and press and everything was at the highest level, there was a lot of pressure. It wasn’t easy. In your second run in the slalom, one of your skis got detached and therefore you could not finish the course. What was in your head in those moments? You got angry? Disappointment? Or something else? I was disappointed of course. I was feeling very good and was ready to finish. I wouldn't say that it was completely my mistake. It was a mistake with the equipment. The day before the race I had had a crash and I broke one pair of my skis, we have one pair for training and one for races, I took to the race with the training pair and it happened. I was disappointed because it shouldn't have happened. It happens often at every level, but you never expect that it will happen, especially when you are feeling good about your skiing. It was very sad for me. It was not an easy moment, I was very disappointed and sad. I knew that I could get a good result and then this happened. In my interviews with cross-country skiers, they mentioned that in Lithuania they did not have the facilities and the conditions to get professional training and they had to be a lot aboard. What is the situation of alpine skiing in Lithuania? Well, we have an indoor training campus in Druskininkai, It is a great place to train, and even some European teams are coming to get practices there, it is a great place for kids to learn skiing, but the problem is that you can't train there every time. You need to train in real snow as well. The situation not so bad. Unfortunately, we don't have any mounts and therefore we have to travel aboard. But it is great that we have a place where kids and beginners can practice and learn skiing and this is the most important thing. What can you say about the financial support of the Olympic committee and the federation? The last few years I had pretty good financial support. Alpine skiing is an expensive sport and it is not easy, but the federation is helping and gives me support with the equipment and with my training camps. Of course, you want more possibilities and more financial support, but it is how it is and I am very happy with what I have. Sometimes the Olympic committee wants to help but they just can’t do it. I think that if the private sector like big companies support and be our sponsors, it will be much easier. Sports cannot develop unless you have stable financial support. 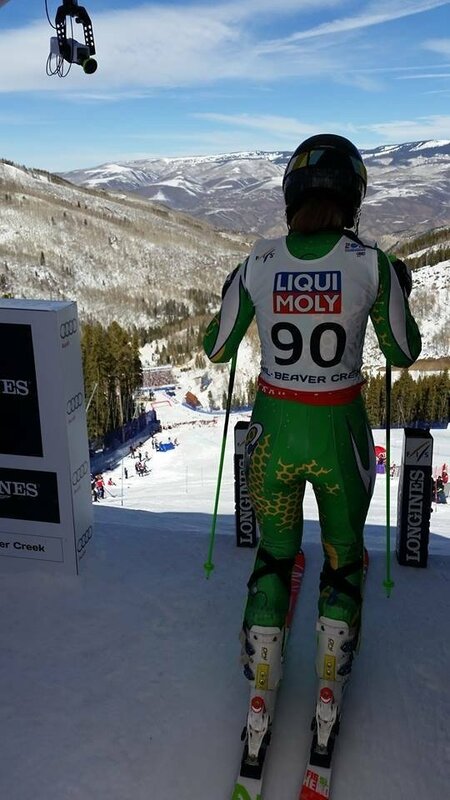 Recently you came back from the world championships and you finished at the 59th place in the slalom event. Do you feel disappointed with the result or you are happy being 59th in the world among all the skiers? Actually, I am happy with the result. It is much better than in the previous championships, it is not as easy as it looks. It is a very hard sport and we have a lot of athletes competing. If you are in the top 500, it is a big deal. Countries with alpine skiing history like the USA, Austria, Italy and others do not always have athletes in the top 30. In your opinion, what do you have to improve in your skiing skills in order to be among the top 30 skiers of the world? That is a lot of improvement to do. The countries who have athletes in top 30 have a long history in this sport. They have stable financial support, they have mountains and alpine skiing schools with professional trainers, it’s a lot of things to catch up, but I think that it is possible with hard work to be close to the top 30-40. It is possible, maybe not for me, but for the next generation of athletes. I don’t see why not. After being in almost every possible main event tournament in the world, what are your goals today? My goal is to get better world ranking and to move forward. Also, I would like to get some good results in lower international level tournaments, to improve my results and that is what I am looking for. Let's go back to the Olympic Games. What can you take from the Sochi games to Pyongchang 2018? I learned that I shouldn’t be as stressed as I was in Sochi. It just makes everything harder. It is a big event, but the race is the same race that you do in practices and every weekend. I have to improve my technical level and I need to be relaxed in order not to make mistakes. And of course to check my equipment (laughs). In London 2012, Lithuania won five medals. In Sochi 2014, not a single one. What in your opinion has to be done in order to see a Lithuanian winter Olympic athlete winning a medal? The first thing is that we need to take time. A lot of winter sports are still developing in Lithuania and it takes time to grow. Athletes have to be nurtured in order to be good athletes. We will have a mass of athletes if we raise them in a good and correct way. But also kids and everybody else is mostly interested in summer sports and, of course, they are getting more financial support than we are getting. I think that it is a question of time and hard work. Even in swimming we had few medals before [Rūta] Meilutytė, but she is a talent and a star. Even without good support you can find a person like her who is bringing medals and pride to your country. You need to have a talent and you need to have a lot of athletes in order to develop winter sports. Unfortunately, winter sports are not as popular in Lithuania yet. Which characteristics and skills you have to have in order to be a good alpine skier? First you have to have commitment to your sport. You need to love what you are doing and of course to have fun in what you are doing, I mean you have to enjoy your sport. You need to work hard and to have some intensive training. You need to be kind of “crazy” in order to do it, because we have a lot of crashes and injuries and therefore you have to be smart and not to take the risks that you shouldn’t take. In alpine skiing, you are moving at high speed, in the history of this sport there were several tragic accidents and deaths. How are you handling this? Are you very scared to crash? I don’t know why, but I am not afraid of crashing. It bothers me more that I didn’t finish the race, but I am not afraid to crash, but of course in very high speed it is a little bit scary but it's also great fun. Take me to your head seconds before the race. Most of the times I remind myself of the course and the turns, and then I am trying to convince myself that I can do it and that everything is great and I will do it. During the race itself, you don’t have too much time to think, so you are concentrating on the track and trying not to make a mistake. I think that it will be the qualifications to the Olympic Games. It was something great. I was so happy when I got notified that I would be there, in Sochi 2014. It is a pretty big deal for me. Also, I am happy about being first among the Lithuanian girls. What motivates you to get up early to train and keep competing? My passion for the sport. I love what I am doing and this gives me the motivation to work hard in order to fulfill my dreams. The joy and the love for my sport is the main reason why I am doing it and of course the idea of developing this sport in Lithuania. If you were not a skier, what would you do? Well, that is a good question. I think that I would study medicine in university because I like this field of studies. Now I am thinking to study physiotherapy after my sports career or even next year. When you were a junior athlete, how did you manage to combine your school, tests and exams, trainings, travels, competitions? I got a lot of support from my parents and friends and of course by the school. The teachers understood the importance of the competitions. I went to the competitions and took with me homework and all school work. I like to learn and I was a pretty good student. School gave me some extra time in submitting homework and assignments. It was hard, but not terrible. But I almost didn’t have free time. I was always busy. Today, when you have some free time, what do you like to do? Well, today I am also not so free. I have a lot of training camps and competitions. I love to read books, I like to cook. I am not studying right now so I have a little bit more free time. 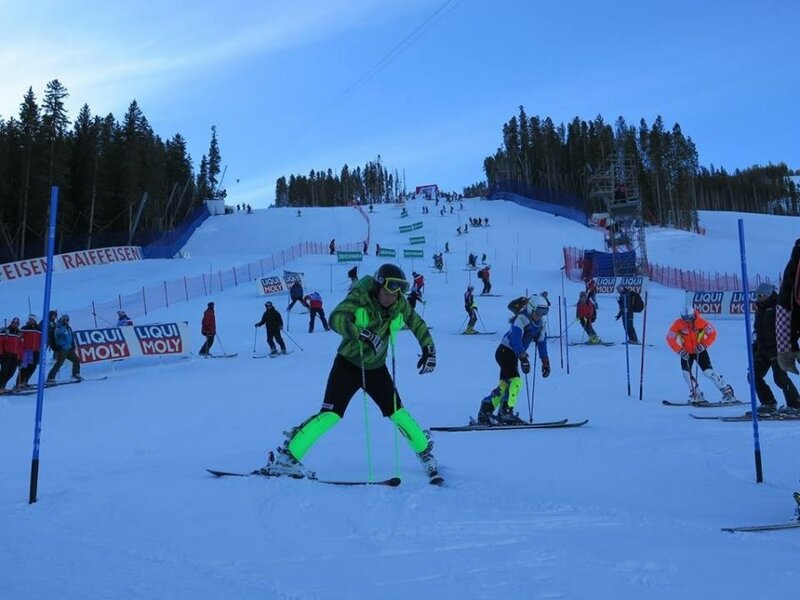 What are the main differences between men's alpine skiing and women's? There is almost no difference. The equipment is a little different and men's track also a bit harder than ours. The main difference is that there are much more men competing than women. To have alpine ski in my life as long as it is possible and also to have a chance to travel around the globe. In the end, say something to the readers that no one knows about you. Well, when I was 14-15 year old I wanted to be an artist and do some creative job. I was imagining that I would be good at art, but I never gave it a shot (laughing).